Kenyatta University is putting great emphasis on collaborations with local industries to ensure relevance of academic and research programs. One of the on - going flagship project which is funded by Osho Chemical Industries Limited (OCIL) is on “Bioprospecting for Potential Biocontrol Agents in Kenya and Capacity Building in Crop Protection”. The project is training seven fully funded MSc students thereby supporting the development of highly skilled human resource to support sustainable agricultural production in Kenya. The students are conducting research to identify fungal and bacterial organisms and plant extracts that have a high potential for use in biological control of the multiple diseases and pests on crops of major economic importance in Kenya. The potential impact of this project is significant, with a footprint across 13 of 47 counties in Kenya (27%) and targeting diverse crops and multiple pests. The students have made significant progress in identifying microbial agents and plant extracts with proven effect under laboratory conditions. The materials are being investigated under field conditions in preparation for large scale production and formulation for commercialization. After successful completion of their study, the students will be awarded a Master of Crop Protection degree. The university is excited about this mutually beneficial collaborative project and has put in place the necessary mechanisms to strengthen and sustain such partnerships. 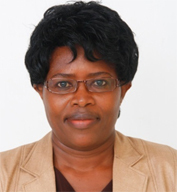 The KU- OCIL project which started in 2016 is being implemented in the Department of Agricultural Science and Technology in the School of Agriculture and Enterprise Development by Prof. Waceke Wanjohi as the Principal Investigator and a team comprising supervisors and a Research Administrator.